Isn't this cupcake tree amazing? I'm always looking for creative ways to display desserts and appetizers for parties and special occasions. 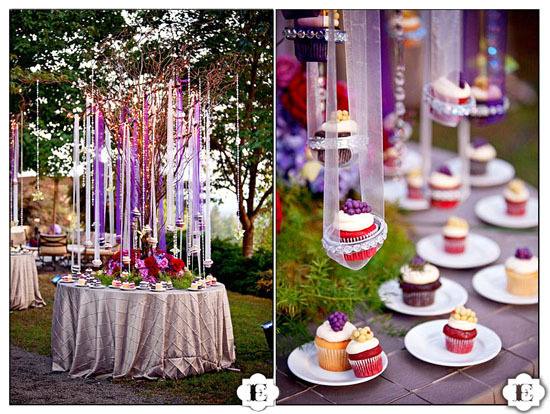 After spotting this unbelievable cupcake tree on Evrim Icoz's Photo Gallery, I have been inspired to look beyond the average plates and platters and think a little more creatively. This cupcake tree idea was used for a garden wedding reception, but I think the inspiration would work perfectly for any outdoor event!